Heat a medium Dutch oven or large pot over high heat and add the ground beef, breaking it up and moving it around until brown. Add the garlic and onions and cook until the onions are translucent, 3 to 4 minutes, stirring frequently. Add the ketchup, beef broth, and tomato paste, stirring up any brown bits. Reduce the heat to low. Add the cinnamon stick, mustard powder, Worcestershire sauce, cumin, celery seeds, black pepper, ancho chili powder, and nutmeg, and stir to combine. Cook, uncovered, 30 to 40 minutes, stirring occasionally to prevent burning. Heat the oil in a large Dutch oven over medium heat until the oil registers 350 degrees on a deep frying thermometer. Carefully add the hot dogs to the oil, two at a time. Fry until golden, 2 to 3 minutes, or for a “ripper,” fry the hot dogs until the skin rips apart and hot dog is crisp, 3 to 5 minutes. Drain hot dogs on a plate lined with paper towels. 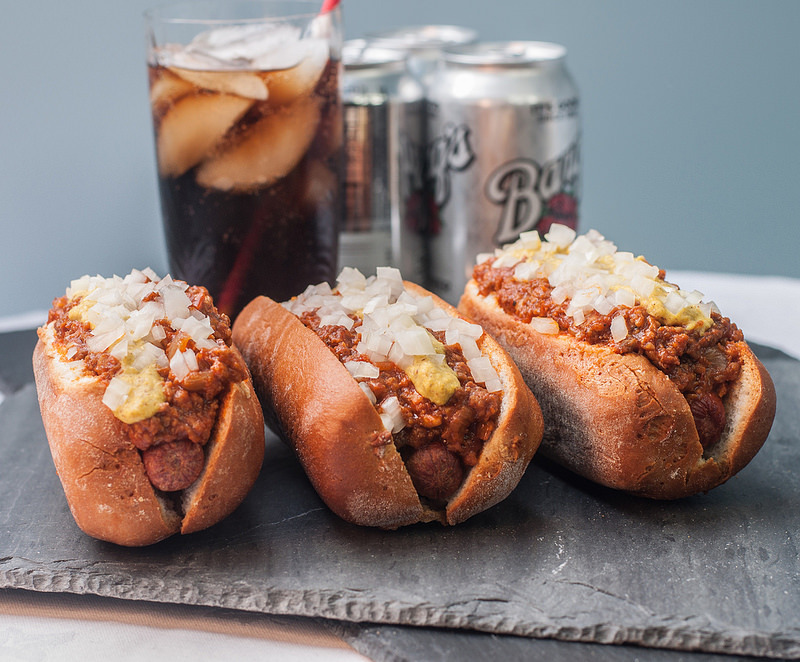 Serve the hot dogs in the buns, topped with ⅓ to ½ cup chili, chopped onions, and mustard. 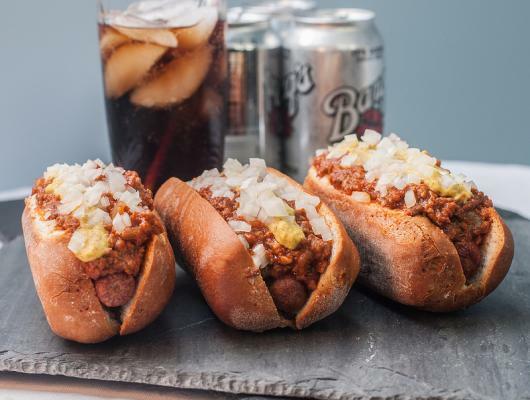 The name may say "Texas," but the recipe—a deep-fried hot dog topped with a hot chili sauce—originated in New Jersey, where it was invented by a Greek hot dog vendor. The chili sauce for this version was inspired by a recipe floating around the web from a diner in New Jersey called Clixes.